The National MPS Society will be hosting another highly successful Speakers Bureau opportunity and would like to extend an invitation for all members to take part. 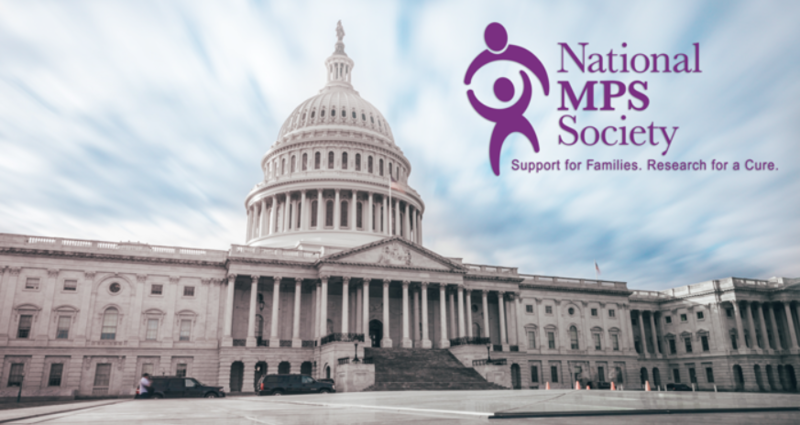 Let your voice be heard by advocating for MPS and ML on Capitol Hill. 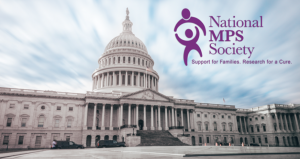 Members are cordially invited to join us for a training webinar, in-person training, and speaking opportunity on Capitol Hill during Rare Disease Week in February of 2019. We encourage our Speakers Bureau advocates to attend all training and webinars so that they become skilled and confident in effective advocacy. The Society is seeking 10 volunteers to advocate on Capitol Hill for Rare Disease Day. *Advocates from these states are particularly helpful as these states have Newborn Screening initiatives upcoming in the new year. Because Congress needs to know what the MPS community needs from us as constituents. Katelyn Blackman, Development and Program Support at katelyn@mpssociety.org or call 919.806.0101. Thank you in advance for dedicating your time and talent to our advocacy cause. The following dates have been chosen for the 2019 Speakers Bureau Activities. If you are looking for another way to get involved as an Advocate for Rare Disease Week, consider participating in Rare Disease Legislative Advocates (RDLA’s) Rare Disease Week on Capitol Hill. Participating in RDLA’s program is a large, but valuable investment of time. (Activities are Sunday Feb 24 – Thursday Feb 28th), and a beneficial experience. RDLA’s travel stipend application will remain open through Dec 14. Apply directly through this RDLA link, but please let Katelyn Blackman know if you plan to participate and are selected for RDLA’s program. Our ultimate goal is to have advocate voice diversity representing all types of MPS and ML. This is on a first come, first served basis to fill those urgent needs. Please respond immediately to Katelyn Blackman if you are interested in participating. For any additional questions, please reach out to Chris Tippett at caktippett@gmail.com.